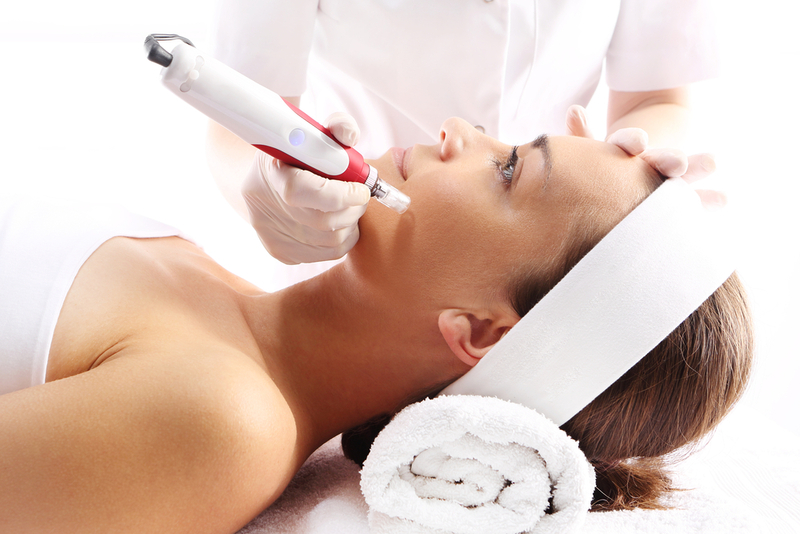 Microneedling is designed to stimulate your skin’s natural ability to produce new collagen, bringing about healthier skin. The “micro-channels” created by applying the cosmopen device over your skin also allow specific topical solutions to penetrate the deeper layers of the skin for optimal rejuvenating results and natural production of collagen and elastin. The skin plumps and thickens in response to this stimulus, ultimately reducing the appearance of scars, and fine lines and other skin texture changes. What will the treatment feel like and how long is the downtime? In most cases, a topical anesthetic is applied to the skin prior to microneedling treatment to reduce discomfort and minimize pain. The downtime is minimal; however, you may experience redness for 12 to 48 hours afterward. You will not incur a major side effects and you can resume your normal activities immediately after treatment. Usually you will notice some improvement after the first treatment. More significant results will start occurring after 2 to 3 treatments spaced 1-2 weeks apart. Collagen production takes place over time. Skin will continue to improve over the next 6 to 12 months’ post microneedling treatments with proper skin care regimen. Results will vary for each patient.